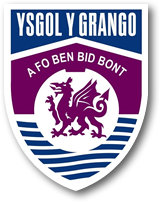 At Ysgol y Grango, we understand that the transition from Year 6 to Year 7 can be an anxious, challenging time for both Parents and pupils. We aim to help and support both Parents and Pupils at this time and welcome you to contact us with any concerns or worries. During our 3 day transition, we give the opportunity for pupils to take part in lessons, meet their new teachers and familiarise themselves with the new building. Parents are encouraged to attend the ‘Meet the tutor’ event during these 3 days to meet your Childs’ tutor.